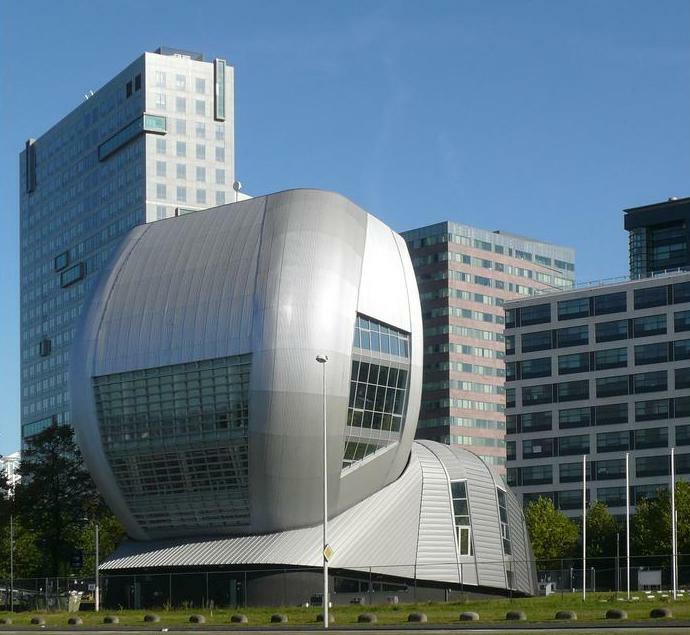 Prestigious buildings are sufficient in Amsterdam. 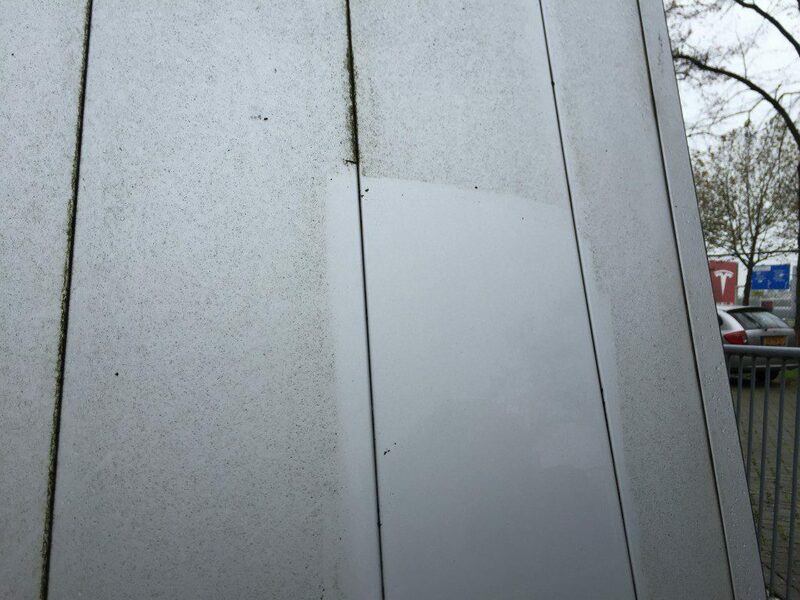 But the former office of ID & T is one that remains on the retina. 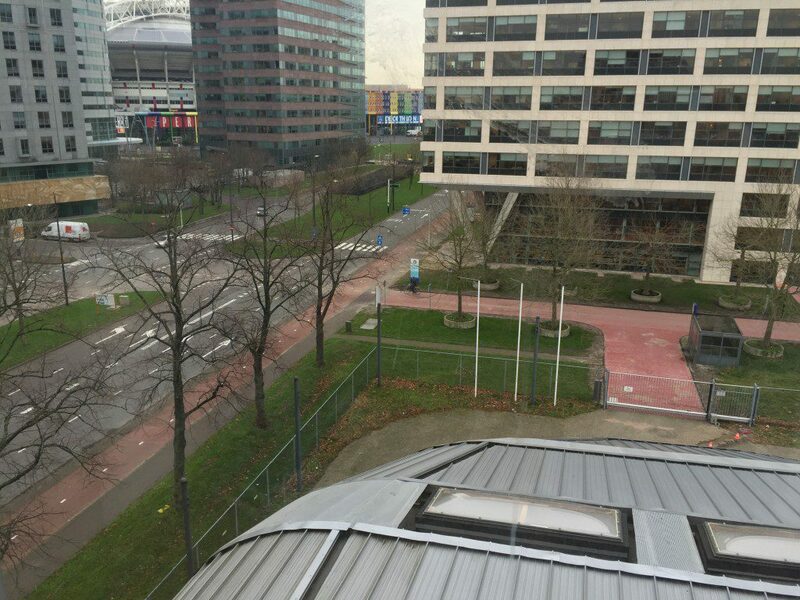 In recent years Living Tomorrow has kept office in the building next to the Arena. 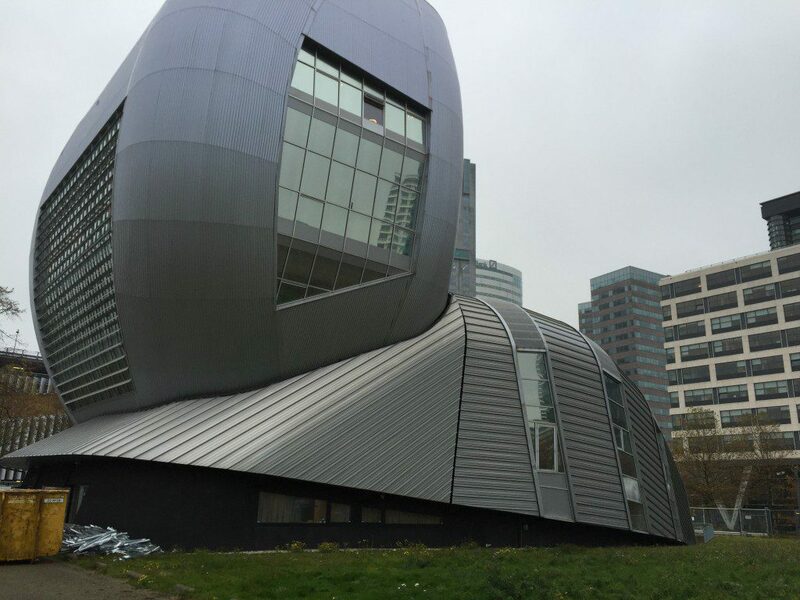 12 years after the construction of the building, it is now completely renovated. 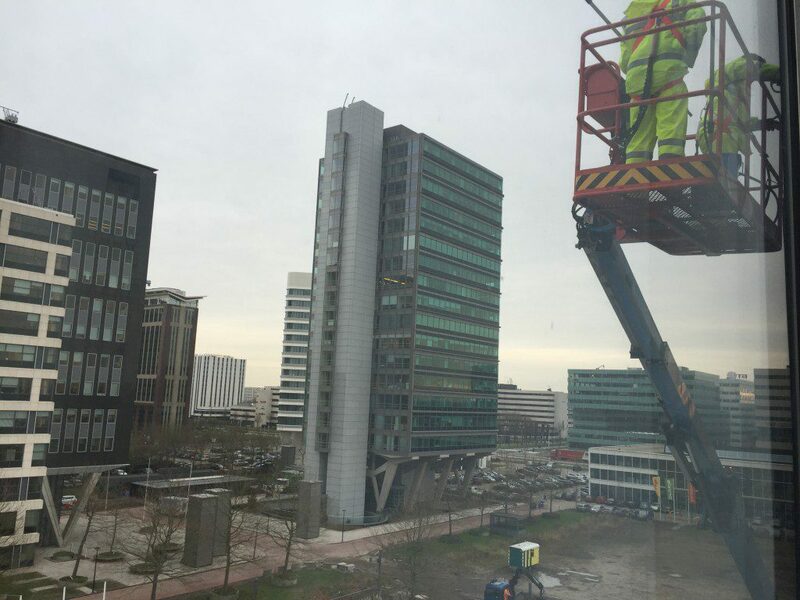 In 2016, ABN AMRO will involve this office. 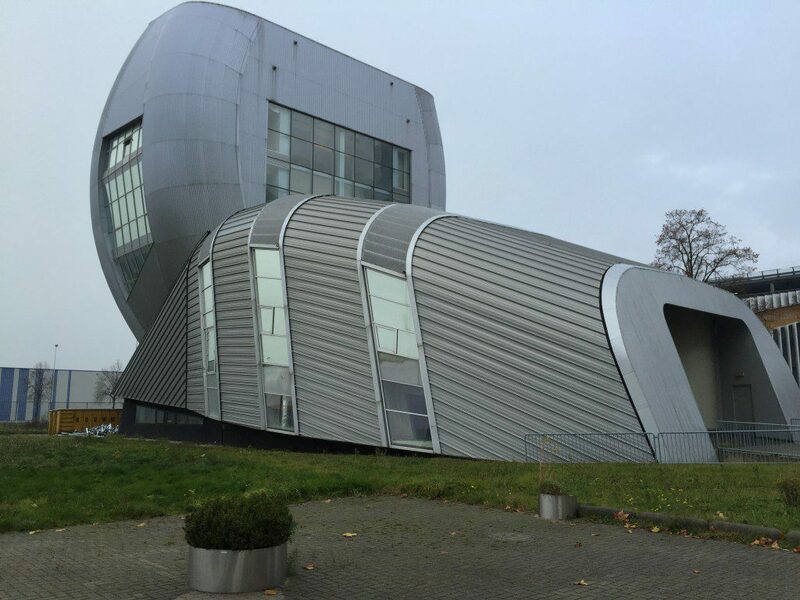 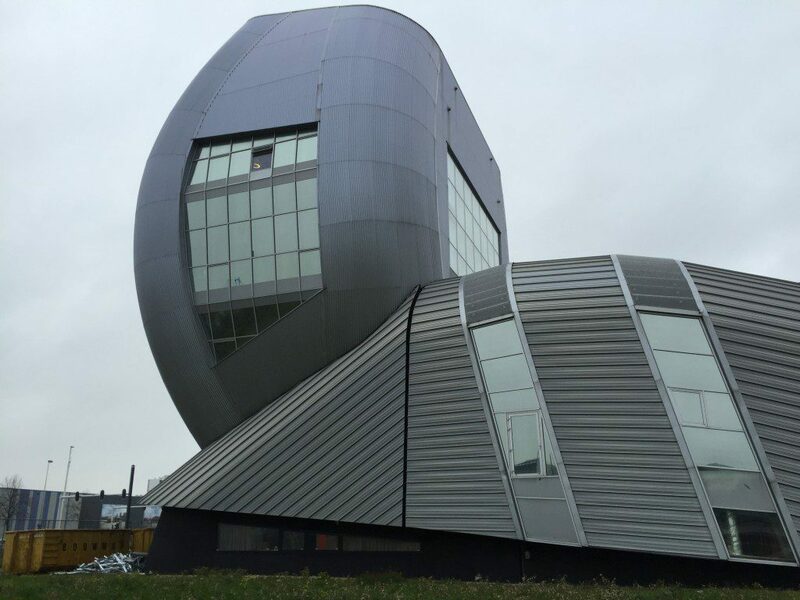 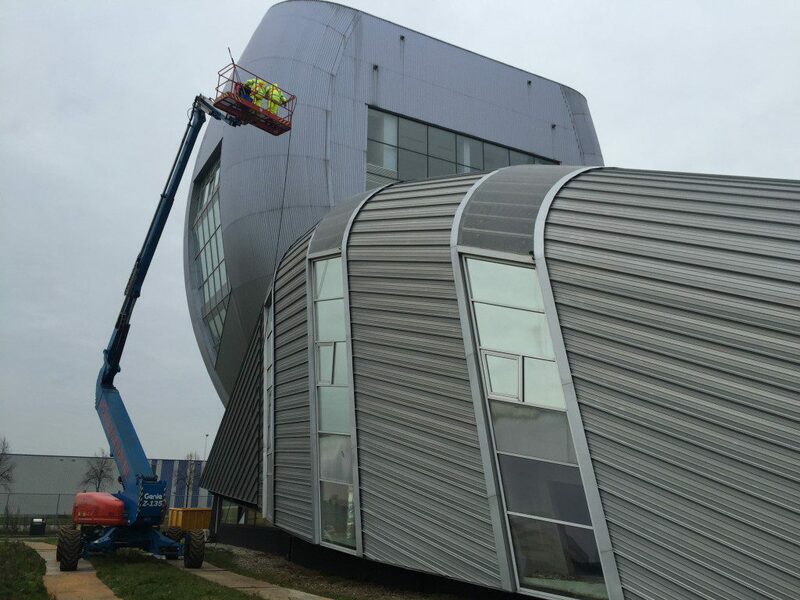 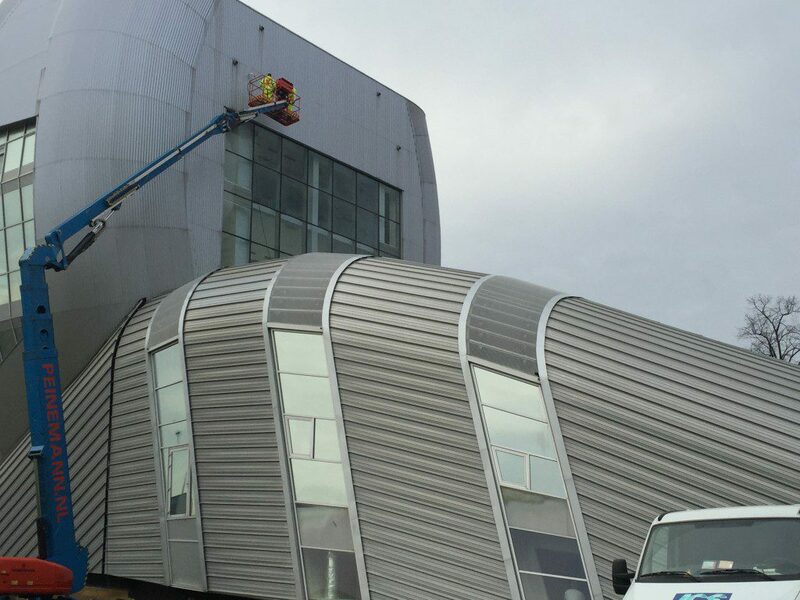 The exterior shell of the building is mainly made of aluminium finishing materials. 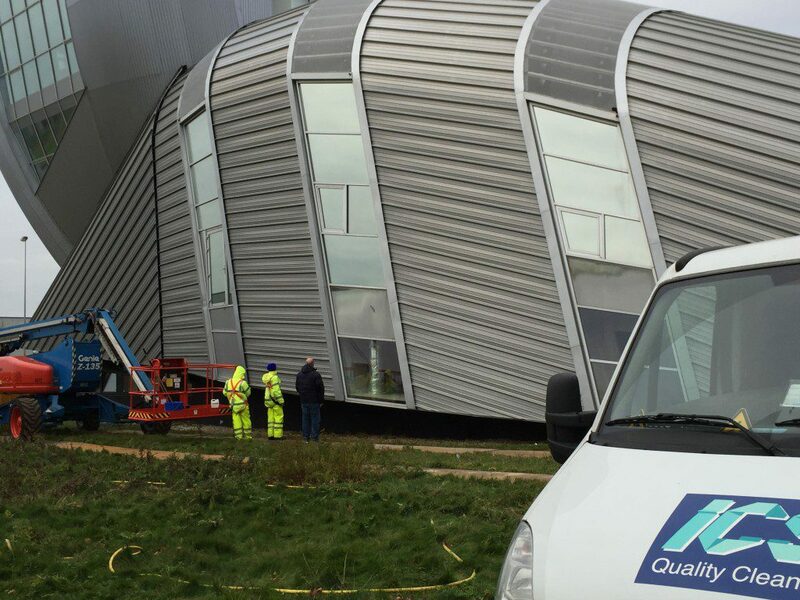 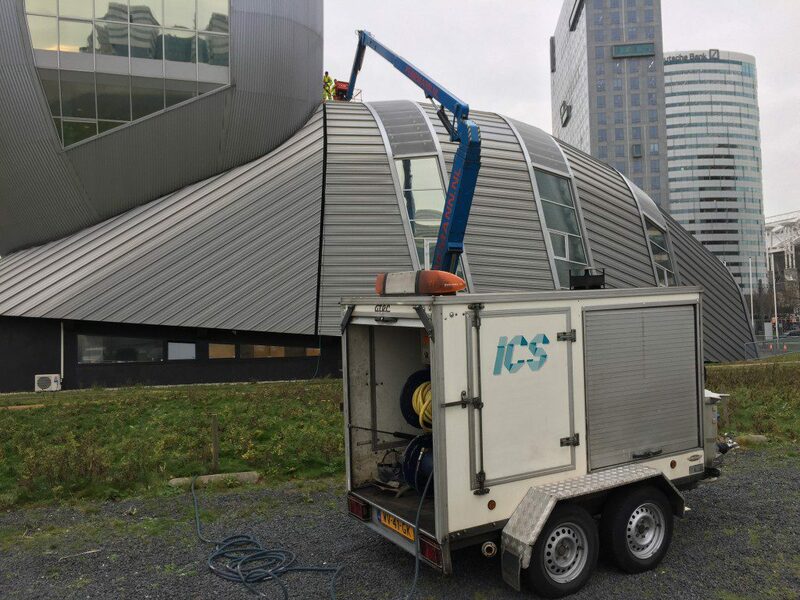 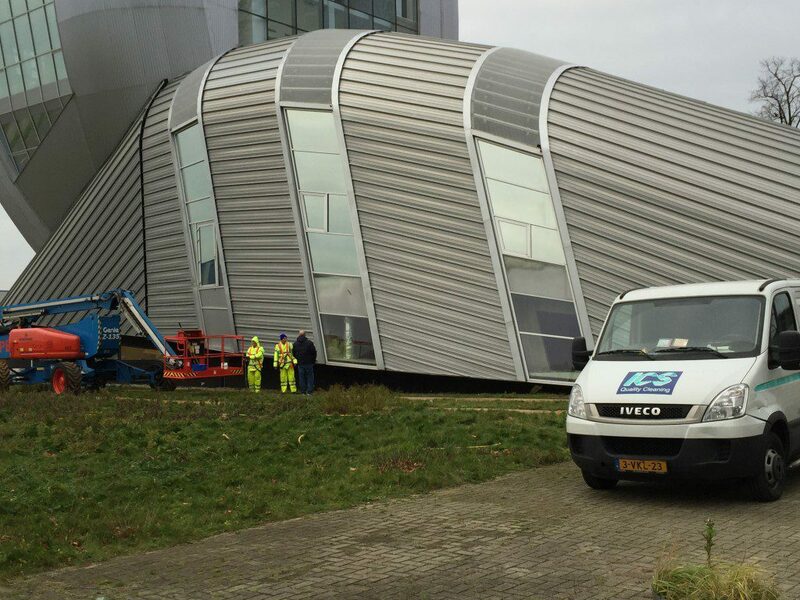 ICS from Zoetermeer has been commissioned to take care of cleaning the exterior with the product ALUCLEAN. 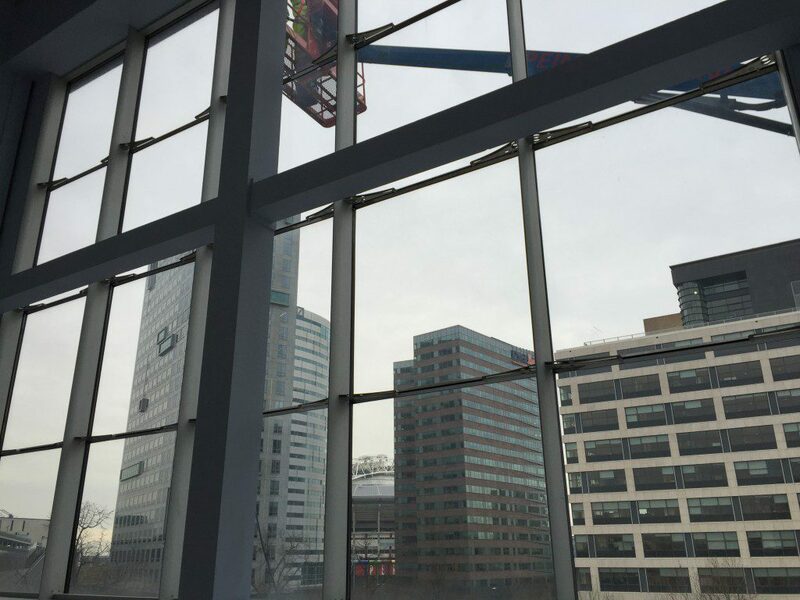 An aerial platform reaching up to 45 meters ensures that all difficult sides can be reached at height. 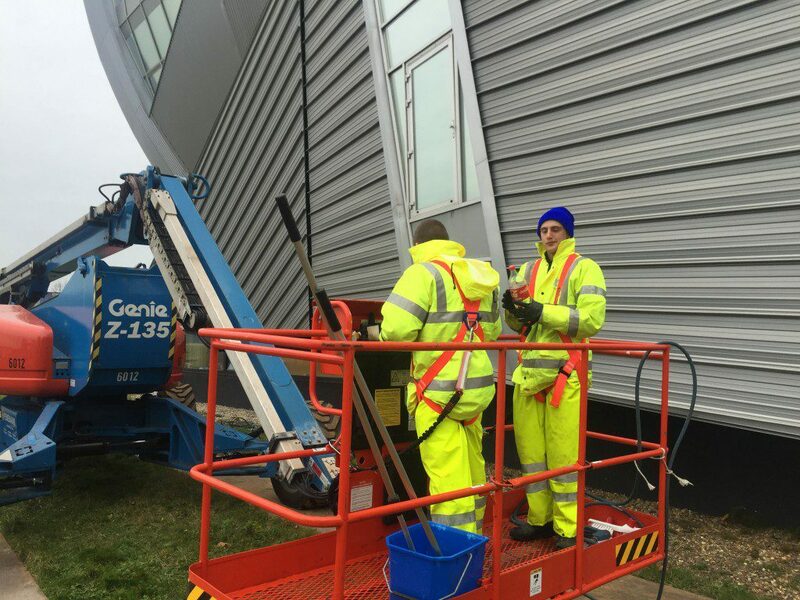 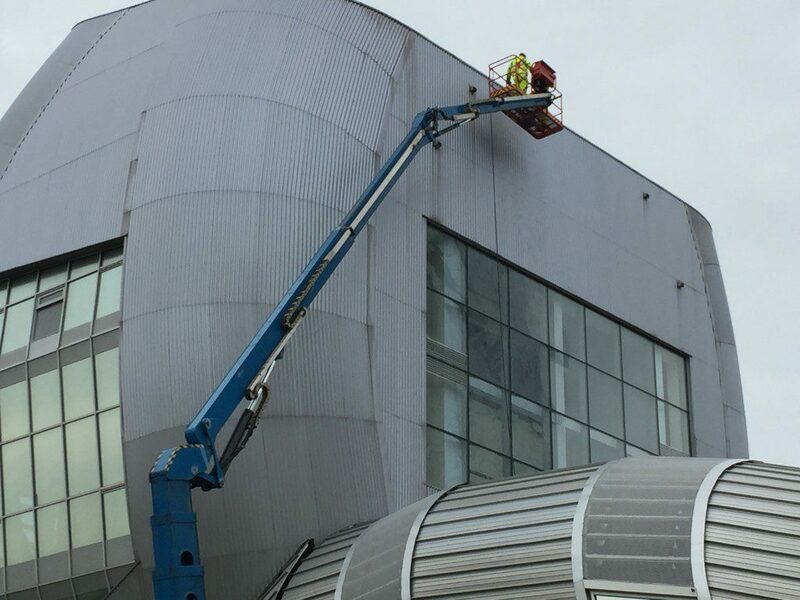 The façade cleaning removes all atmospheric pollution, algae and light corrosion and the building can be used for years again.